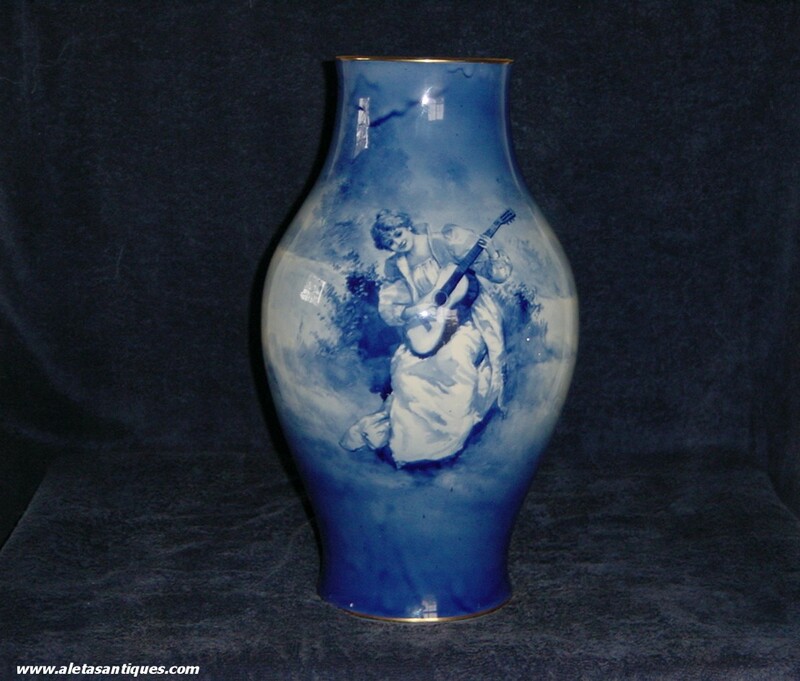 Royal Doulton’s Blue Children series, (sometimes referred to as The Babes in the Woods series, especially in the US, though these should not be confused with Royal Doulton’s Babes in the Wood design of c.1900) is a category of collectable in a genre that has come to be known as Royal Doulton Series Ware; items depicting scenes linked by a common theme. 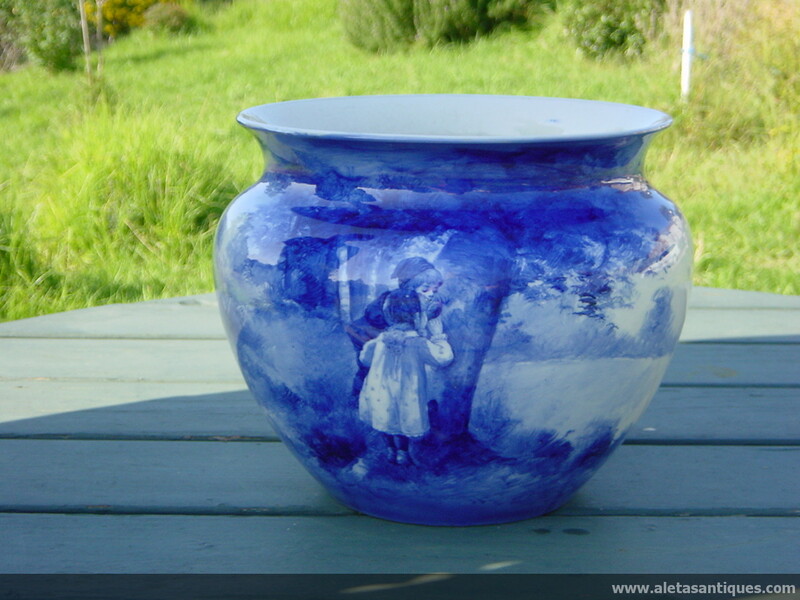 Blue children is among the most collectable of the Royal Doulton Series Ware. Documentation on the line is scarce, and no one seems to know quite what makes it so popular, perhaps it is the calming effect of the distinctive flow blue palette, or the emotive nature of the subjects, wistful children (and occasionally adults) in situations that seem to evoke the innocence and gentility of a bygone era. One forgets, when gazing at the paintings, that the Victorian and Edwardian ages were actually harsh times for many marginalised British children. The series has been continually popular since it debuted in the 1890s. 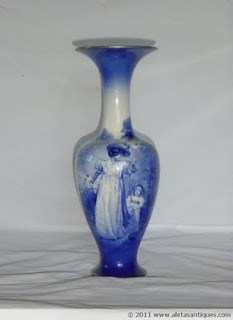 According to recognised Doulton expert Louise Irvine, it had been discontinued by 1930, so the limited production run would help to account for its limited availability ergo its collectability, scarcity being one of the criteria which increase a collectable’s value. 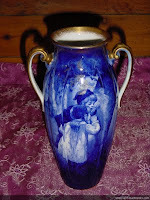 There were 24 known Blue Children scenes, though in an online article c. 2008, antiques aficionado Christopher Prudlove mentions that a collector of his acquaintance believed he had discovered another. [i] To our knowledge this has not been confirmed. The pictures depict children, women with children, and in three cases women alone: ‘Woman Playing a Guitar, ‘Woman with Muff in Snowstorm’, and ‘Woman by Seashore’. Like many collectables, Royal Doulton’s Blue Children have been somewhat affected by the economic downturn which began in 2007, and people who bought in an inflated market may have some cause for worry. 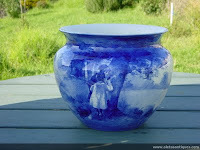 Good pieces are holding their value. 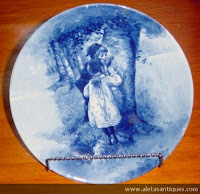 For example, a 13 inch plate sold for £130 at auction in 2005, comparable items are fetching similar prices on eBay in 2011[ii]. At Tuckerbox Auctions in Binalong, NSW Australia in 2010, a 9 inch Blue Children plate sold for AUD300[iii]. In general, retail prices are increasing modestly; prices for rarer items can run into the thousands. Irvine, Louise. Royal Doulton Series Ware Vol 3, Doulton in the Nursery, London: Richard Dennis, 1986. Prudlove, Christopher. 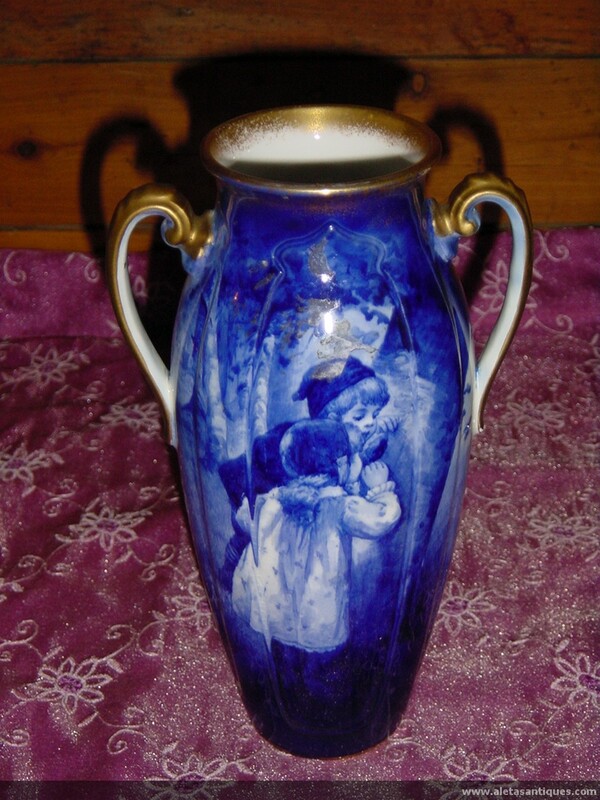 Royal Doulton Blue Children pottery is rare and sought after. 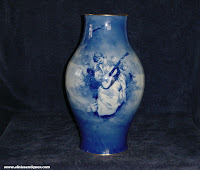 Published online c. 2008 at: http://writeantiques.com/royal-doulton-blue-children-pottery-is-rare-and-sought-after/ Sourced 27 February 2011. 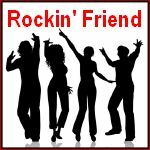 Thank you for visiting my blog, and thank you even more for the kind comment. I hope you will continue to find information of value here, and I'll work hard to make it so! Cheers!